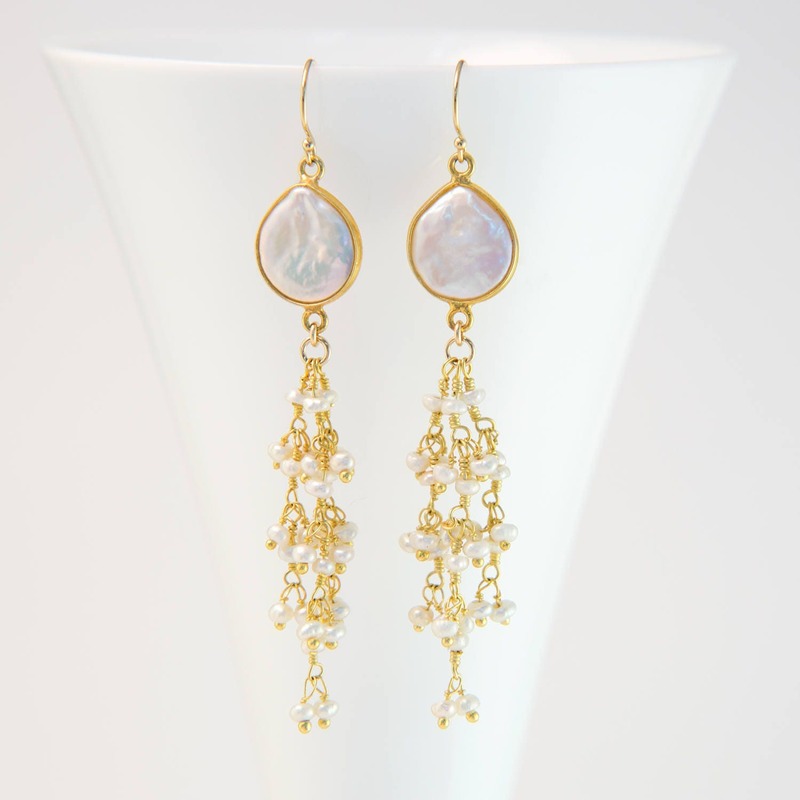 These earrings feature an intricate cascade of beaded pearl strands dangling from an 18k gold vermeil or sterling silver framed freshwater coin pearl. 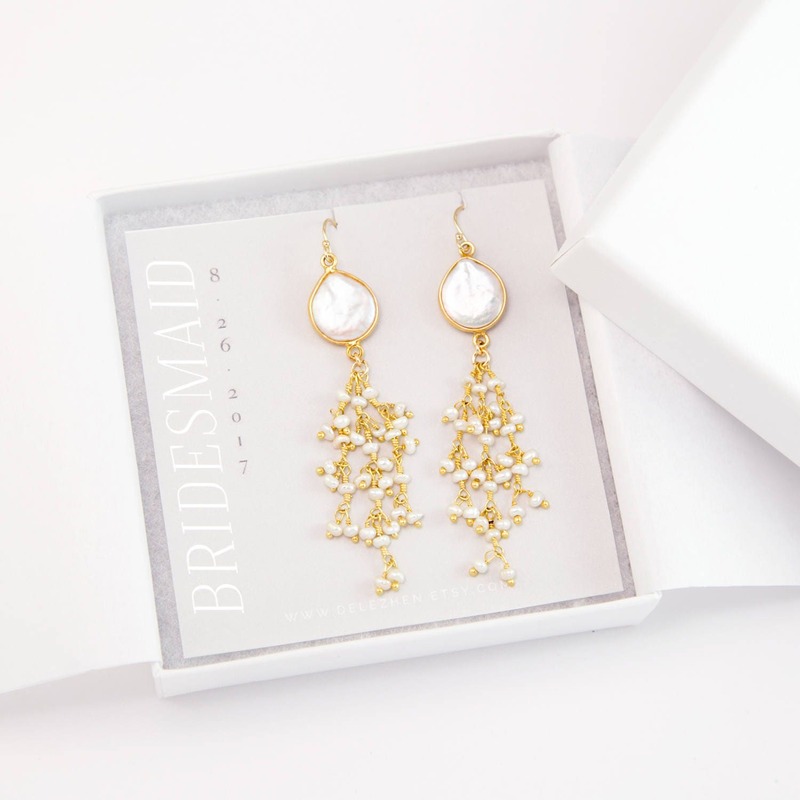 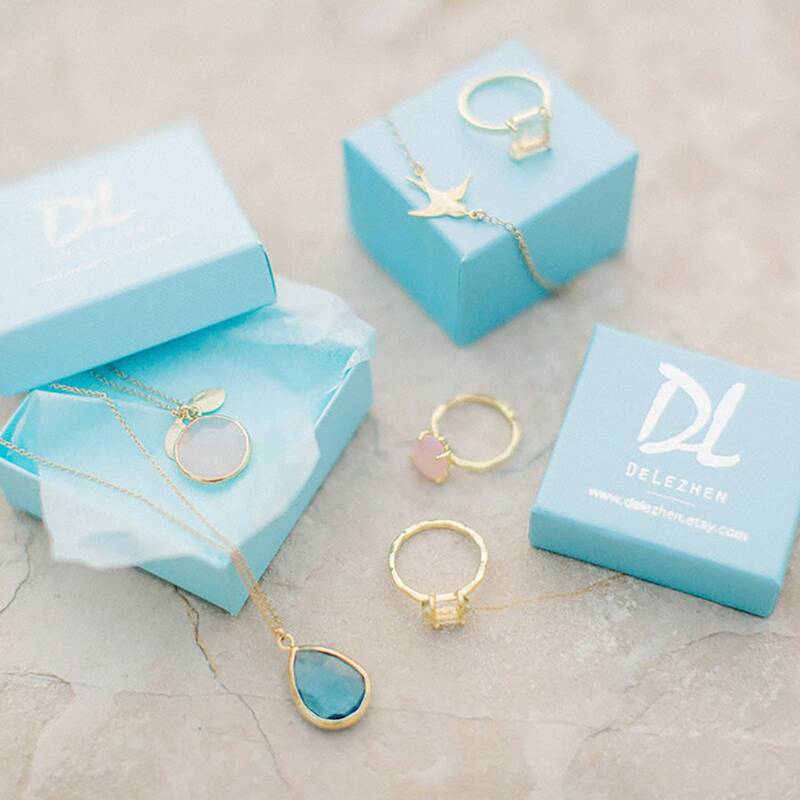 These make the perfect gift for your bridesmaids to wear during your ceremony! 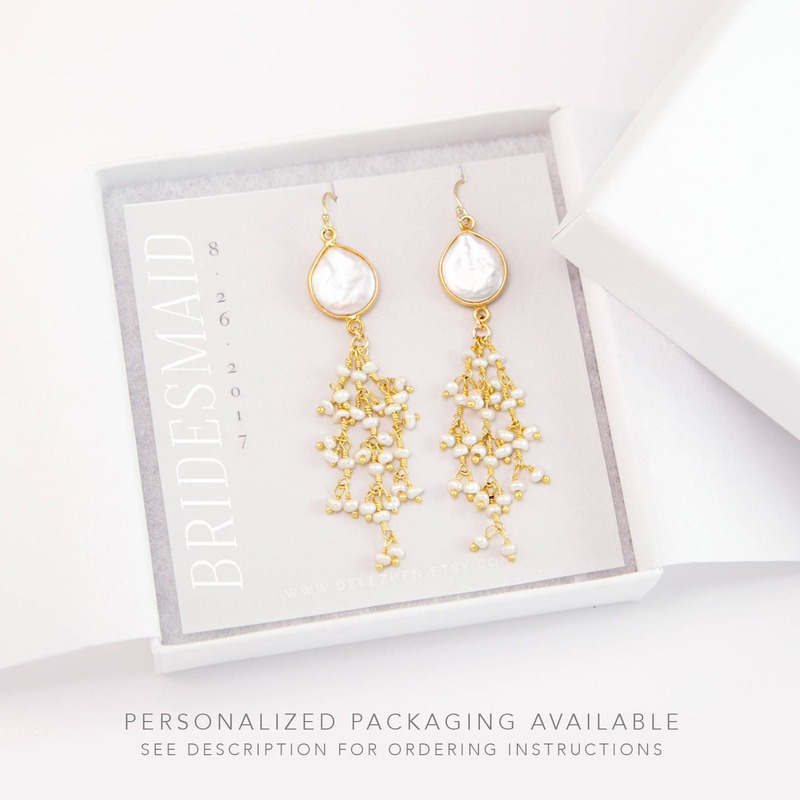 In the DROP DOWN MENU, choose either gold or silver.